Tipsy Elves Christmas Sweaters are perfect for your Ugly Christmas Sweater party, holiday pub crawls, the ski cabin, and they always make a great gift! 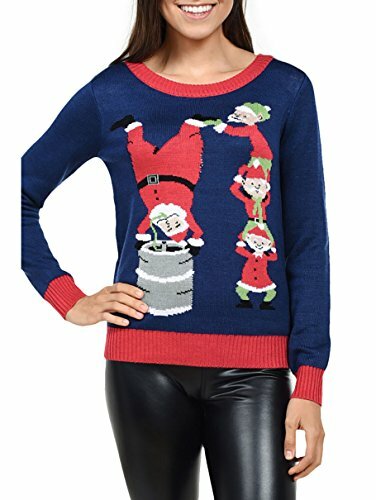 Tipsy Elves Christmas sweaters are made with high quality double-panel construction with reinforced seams. Machine washable and built to last throughout the holidays. All our products ship within 1-business day via Amazon’s reliable PRIME service.